You’ve read about some of the best bands in New England during the past year in Limelight Magazine. Now, you have the opportunity to see some of them perform and be rewarded for their accomplishments. 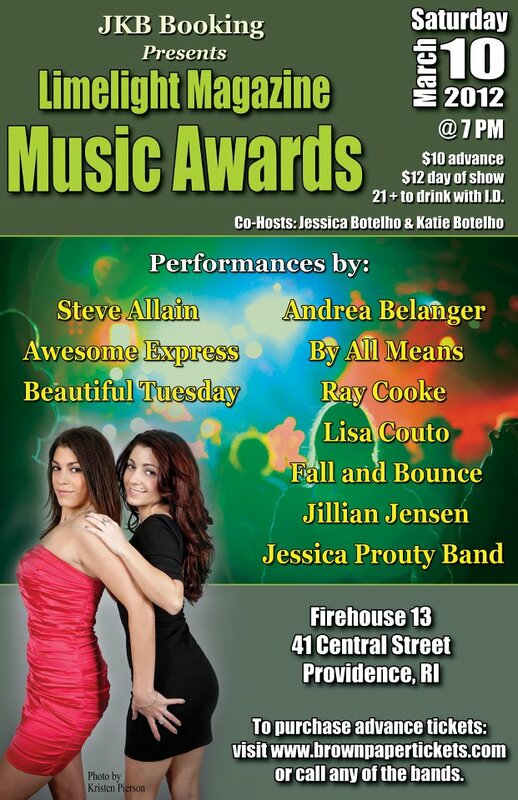 Firehouse 13, located at 41 Central Street in Providence, RI, will host the fourth annual Limelight Magazine Music Awards ceremony on Saturday, March 10, from 7 p.m. to 11:30 p.m. The live music event will honor the best bands and musicians from New England that were selected by readers of the magazine in an online poll. Co-hosting the event will be Limelight Magazine co-owner Katie Botelho and managing editor Jessica Botelho. Among the performers are: Steve Allain, Awesome Express, Beautiful Tuesdsay, Andrea Belanger, By All Means, Ray Cooke, Lisa Couto, Fall and Bounce, Jillian Jensen and the Jessica Prouty Band. Tickets for the awards show are $10 each ($12 day of show) and can be purchased through BrownPaperTickets.com. Limelight Magazine started out as a quarterly publication, but has moved its operations online last year, with the exception of an annual summer issue that comes out each year in June. Visit their website at www.limelightmagazine.com. You can also like them on Facebook at www.facebook.com/limelightmagazine. For more information about the event, contact Limelight Magazine by e-mail at limelightmagazine@gmail.com. Bassist Stanley Sheldon, who toured with English rocker Peter Frampton and appeared on the 1976 double live album, Frampton Comes Alive!, said he is looking forward to showing his New Bedford fans the way, as the two have reunited to celebrate the 35th anniversary of one of the best-selling live albums of all time. They will be gigging at the Zeiterion Performing Arts Center on Feb. 14th and playing the album in its entirety as part of a two-set, three-hour performance. During a phone interview last week, Sheldon said they fondly reminisced about the experience on a bus ride from Nashville to Philadelphia. Originally, Sheldon said he opposed the idea of recording a live album. At the time, he felt that a live album would not have been a good move because Frampton was getting a lot of recognition for his studio work. While Sheldon and Frampton hadn’t performed together for more than 20 years, they re-connected in 2006 for Frampton’s Grammy Award-winning album, Fingerprints, as Sheldon collaborated with him for a song. After drummer John Siomos and keyboardist and guitarist Bob Mayo, their Frampton Comes Alive! counterparts, passed away in 2004, Sheldon said there was talk about reuniting at that time but they decided to hold off since Frampton already had a steady bassist. Recorded in San Francisco, Frampton Comes Alive! reached number one on the Billboard 200 a few months after it was released and stayed in the top slot for 10 weeks. It remained on the chart for 97 weeks and was the best-selling album of 1976, selling more than six million copies in the United States. Further, it was named “Album of the Year” in Rolling Stone’s 1976 reader’s poll. 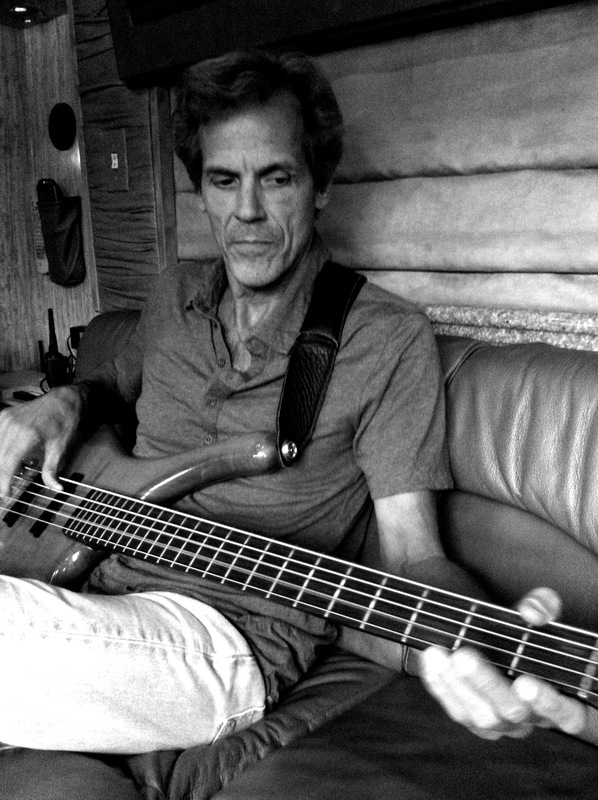 In addition to performing with Frampton, Sheldon also played bass for Delbert McClinton, an American blues artist, in 2008. He toured with McClinton, who he described as “awesome,” for more than a year. Also, Sheldon is credited as being one of the earlier adopters of the fretless bass in rock music. In fact, his expertise of the instrument led to his audition with Frampton and influenced the sound of Frampton Comes Alive! When he’s not playing music, Sheldon enjoys studying it. In fact, he spent the 1990s committed to Latin American Studies at the University of Kansas and traveled throughout Latin America. His focus included slave society of the nineteenth century in Latin countries and how its influence on the music continues to impact world music today.